What is it like to work in the New Zealand dairy industry? 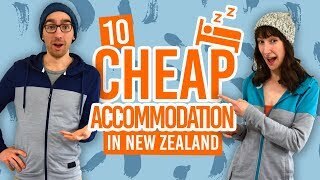 Earning good money while experiencing the local culture is what most backpackers are after here in New Zealand. One industry seems to have it all: the dairy industry. New Zealand’s most important industry cries out for good seasonal workers! But what is it like to do seasonal work in New Zealand’s dairy industry? Aside from the fact the dairy industry has a solid opportunity to earn good money fast, and experience life like a real Kiwi, it also offers the opportunity to learn heaps and make great friendships. Luke Wing has been a working holidaymaker in the New Zealand dairy industry for the last year and a half. He tells BackpackerGuide.NZ why this industry stacks out on top when looking for seasonal work to fund travels in New Zealand. Over 95% of dairy products produced in New Zealand are shipped and marketed globally. New Zealand accounts for over a third of the world’s dairy supply, feeding over 100 million people annually. In 2014, New Zealand produced over 20.7 billion litres of milk and had over 4.9 million milking cows. The average herd size is 419 milking cows. 71% of dairy herds are in the North Island, 24% located in the Waikato region. New Zealand farmers employ over 7,000 unqualified entry level employees each year. 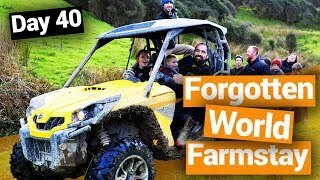 When is the best time to look for a farm job in New Zealand? The calving season is the busiest time on any dairy farm. This is when you will have the best chance to land a job in the dairy industry. Some farms practice “winter locking” and calve twice a year – in autumn and spring. However, most farms in New Zealand only “calve” once a year. Usually planning to have calves out and healthy by summer, just before the grass growth rockets into life providing more than enough feed to fuel these cash cows and keep this pasture-based dairy industry running at a level which it can compete with global markets. What kind of job can you do in the dairy industry? Each year, New Zealand needs good solid dairy farm assistants and calf-rearers to get itself through the most demanding time of the dairy farming calendar. Dairy farming consists of early mornings and late finishes. But don’t be put off just because this job is going to take over your life! It’s a labour of love and there is much to gain from being part of the farming community. These are most of the requirements expected of you when starting out in the industry. Don’t worry if you have no experience in handling cows or have never even set foot on a farm. Believe it or not, this can be a good thing. If you can learn to be patient and work with (and not against) a farmer you will thrive in this industry. Dairy farming is an increasingly popular job to have as a women, so don’t think just because you are a female prevents you from gaining in this industry. The size of the farm you work on will determine how little and often these jobs are required of you. I worked in a 1250-cow farm, which is pretty big. The calves were reared on a tight schedule by calf-rearers and everyone else worked around a rolling roster where every day was different. Feed yourself well and rest well! Bear in mind though not all farms will operate this way and you might be stuck doing the same job for your whole employment. Make sure to ask questions before accepting a job so you know what you are getting into. In recent years, workplace accidents, and specifically quad bike injuries, have been on the rise. It’s important that you take care of yourself when out on the farm. So buckle up, stick a helmet on, and act responsibly. If in doubt, always ask how machinery works. Basic training should be provided on all farms. The best place to find dairy farming work is on the FarmSource website, which is run by Fonterra and originally known as Fencepost. You will find advertisements for a variety of roles, from farm assistants and calf-rearers through to managers. 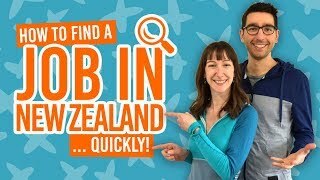 Our BackpackerGuide.NZ job board also has a lot of farm work posted regularly, amongst other backpacker jobs! Websites like Seek and TradeMe have their fair share of farm job listings too. What to ask when looking for a dairy farm job? It is important when contacting a dairy farmer for a job to interview them as much as they interview you. You need to get a clear picture of what your life is going to be like for the next four months. Ask as many questions as possible! If it doesn’t smell right, just move on to the next job listing – there really is a lot of farmers that need help. Remember, you should be paid at least at the minimum wage rate. 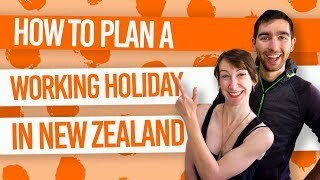 Check out the New Zealand working holiday employment rights for more information. 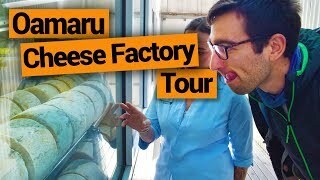 – Hot odourless running clean water. – Fridge, freezer, cooker, washing machine, a place to hang clothes and a shower. All of which in good working order. The nearest town isn’t too much of an issue as long as you can get a regular food source, however if you are missing civilisation that badly, hop on the next bus or ask to borrow the pick up from the boss. What is the work/days off ratio and is it all year round? The work days to days off ratio is important. I mostly worked a 6/2 work ratio all year round which was a healthy ratio. However, some farms operate different schedules such as 7/2, 9/3 or even 12/2 so be sure to find out. If the job listing says “negotiable”, then negotiate! What size is the herd? The herd size really determines how much work you can expect to have and the variety of jobs are expected in one day. The smaller the herd, the more jobs there are to do as there is less staff. The more cows there are the less jobs there are to do because, in theory, there is more staff on the property. How many people work on the farm? For similar reasons than above, it is important that you get a picture of the size of the team for social interaction and the type of work available. The bigger the team is, the more confined to a position you will be. Why is the dairy industry great to earn money fast? Farms are usually set in the countryside. This along with working long hours, earning above minimum wage, and having little time and nowhere to spend it, money can stack up fast! On top of that, accommodation and food will be either provided by your farmer or very cheap. Unless you are blowing it playing poker over the internet or on the booze at a young farmer’s ball, you should be saving at a steady pace! In 2014, the average wage of a dairy farm assistant was a bit over NZ$16/h and an average week is around 50 hours of work! Before you know it, you will have enough money to ski Mt Ruapehu, walk the beautiful beaches of Taranaki or bungy jump in Queenstown. In fact, many backpackers end up only working 3-4 months in the dairy industry before travelling for the rest of their year.